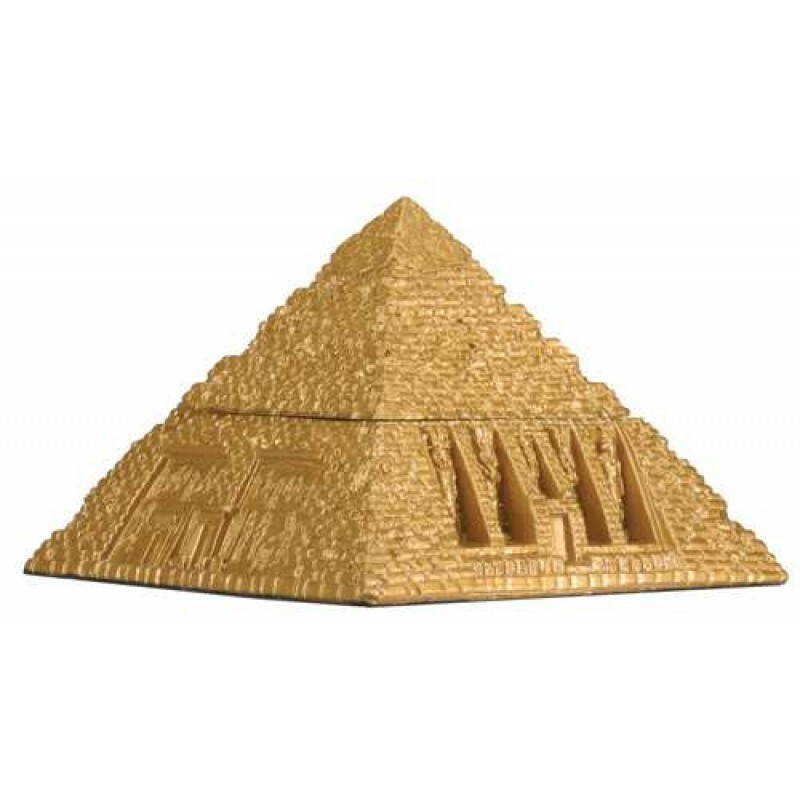 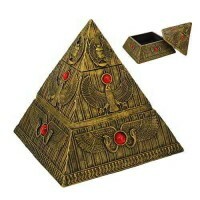 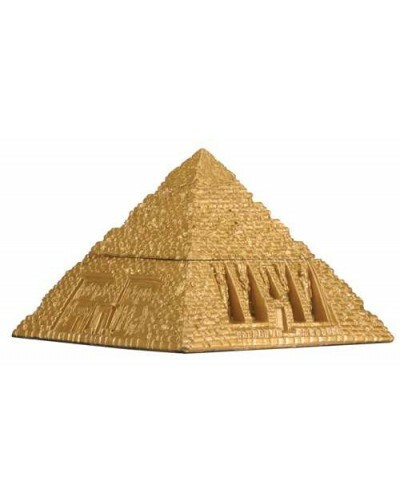 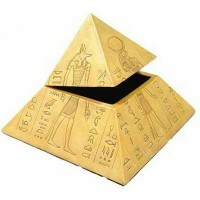 Gorgeous golden pyramid resin box has a lift off lid and is only 3 inches high. 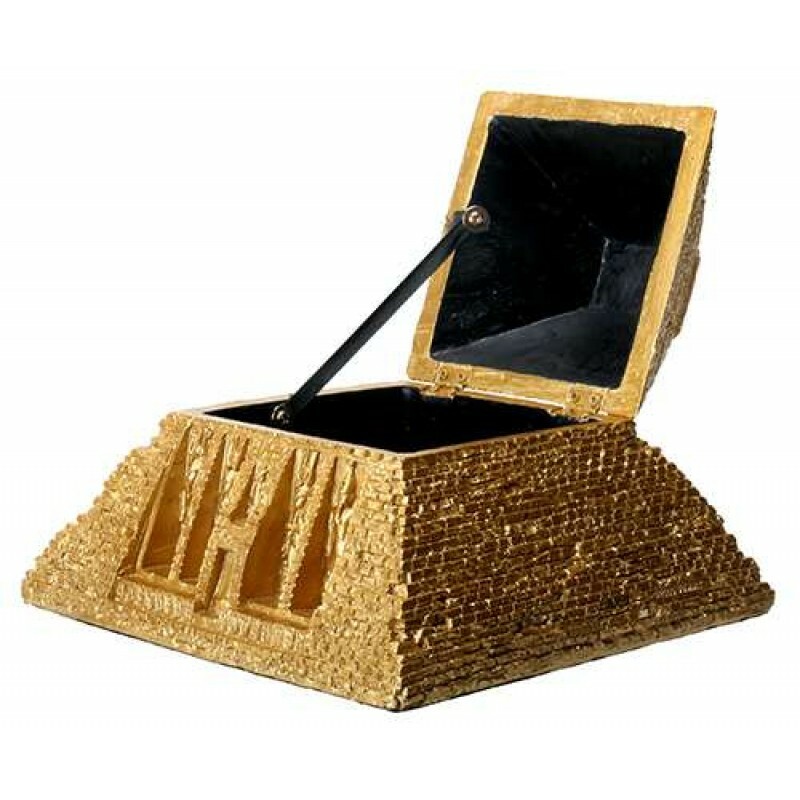 This stunning, finely detailed cold cast resin box is 4.25 x 4.25 x 3 inches with a lift off lid and felt-lined interior. 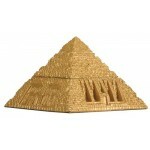 Item Number: YT-8472 | Approximate Size (Inches): 4.25 wide x 4.25 deep x 3.00 high | Approximate Shipping Weight: 1.50 lbs.